CBA’s announcement on Sunday morning it had dropped the $2 transaction fee imposed on non-customers withdrawing money from its ATMs has appeared to have been welcomed by many, with the number of customers using its machines spiking. CBA has seen a marked increase in non-CBA customers using its ATMs since the move was announced, with use of ATMs Australia-wide rising by 34 per cent on Sunday, Monday and Tuesday compared to the same days two weeks prior. 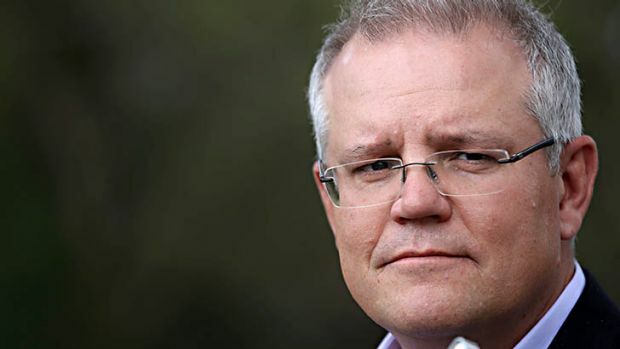 Treasurer Scott Morrison is happy to give CBA a «pat on the back» for their decision to remove ATM fees for anyone withdrawing cash. Its big four rivals Westpac, NAB and ANZ have all followed suit in ditching the fees. Andrew Hall, Commonwealth Bank’s executive general manager corporate affairs, says the stats show that it has been a welcome change for customers. «The removal of ATM withdrawal fees has had an immediate effect,» he said on Thursday. On Thursday, Walter Zaitzev, a 50-something building renovator, was on his way to Sydney to watch a mate’s horse run. He needed some cash from his NAB account to take with him. Walking up Bourke Street mall he couldn’t see a NAB bank but spotted a CBA machine on the corner. Alex Cooper, a 41 year-old recruitment manager said he was shocked after arriving in Australia five years ago when he found banks still charging customers for ATM withdrawals, a practice that had been abolished in the UK years ago. Cooper takes money from his ANZ and CBA accounts every other day. Tired of having to always find the appropriate bank’s ATM, the abolishment of the fees «is a welcome change to the process,» he says.